Cara Delevingne is an English fashion model. Childhood: Cara Delevingne was born in London, England. Her grandfather is former English Heritage chairman Sir Jocelyn Stevens. When she was a child, she modelled for Cadbury chocolate. Her sister Poppy Delevingne is also a model. Modelling career: Cara Delevingne is one of the faces of Burberry's Beauty campaign after previously being involved in their spring/summer 2012 campaign with Eddie Redmayne. Other campaigns she has featured in have been for H&M Authentic Collection, Dominic Jones Jewellery, Blumarine, Zara and Chanel. 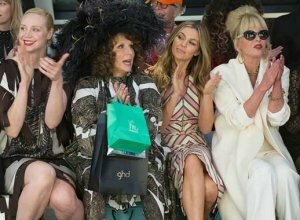 She has done runway shows for a variety of brands including Shiatzy Chen, Jason Wu, Burberry, Dolce & Gabbana, Stella McCartney and Chanel. She has been the cover girl for magazines such as Vogue UK, i-D, Russh, Jalouse and Style.com. In 2012, she modelled on the runway at the Victoria's Secret fashion show and became the face of DKNY. She won Model Of The Year at the 2012 British Fashion Awards. 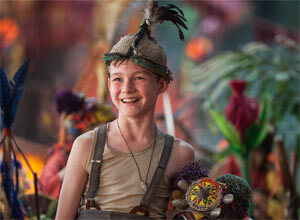 2012 also saw her make her acting debut in the film adaptation of 'Anna Karenina' alongside Aaron Taylor-Johnson. She became the face of Chanel's Resort campaign in 2013. Personal life: Cara Delevingne began dating singer Jake Bugg in late 2012 but they split five months later in 2013. She is rumoured to have briefly dated One Direction heartthrob Harry Styles. She is good friends with Rita Ora and is often seen venturing out to clubs with her. In 2013, she was snapped by paparazzi dropping a suspicious bag of white powder as she left her London home. Given that her career could be in jeopardy if it emerges that she has been taking drugs, H&M has said that the incident will be 'investigated'. Delevingne joined in the #WhyIDidntReport conversation on Twitter, explaining why she didn't initially come forward about abuse she had suffered. Actress and supermodel Cara Delevingne has opened up about why she was reluctant to report sexual abuse she had suffered, saying that she “didn’t want to publicly ruin someone’s life”. Delevingne’s words come in the context of the recent explosion of the hashtag #WhyIDidntReport, which came about in the aftermath of Donald Trump’s suggestion that women who had been sexually abused in the past ought to have reported it to the authorities sooner. That, in turn, happened in regard to Trump’s nominee for the US Supreme Court, Brett Kavanaugh, who has been accused of inappropriate behaviour by a number of women, in some cases dating back to when he was a teenager in the 1970s. Cara Delevingne And Ashley Benson: Are They Dating? We're still uncertain whether or not these girls are together. Rumours that Cara Delevingne is now dating Ashley Benson continue to spread like wildfire, especially in light of a couple of telling comments on social media that the latter made to the former. However, she's just claimed that her account was hacked - so does that mean they're not dating? We wouldn't be so quick to rule it out. After all, there's plenty of evidence aside from the Instagram comments that have linked the two together romantically. Of course, it's not impossible that the two are just really close friends, given that they have been working on a film together. Continue reading: Cara Delevingne And Ashley Benson: Are They Dating? 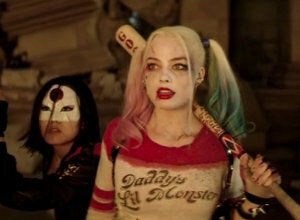 The advert sees Cara being catcalled on the streets of New York City. A new advertisement for shoe designer Jimmy Choo featuring Cara Delevingne has been criticised as “tone deaf” and “sexist”. Cara Delevingne will sing on her former girlfriend St Vincent's upcoming album, the musician has revealed. Cara Delevingne will sing on St Vincent's upcoming album. 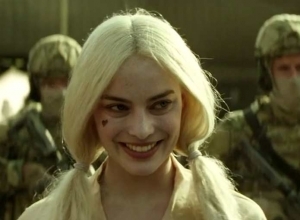 The 25-year-old model and actress was previously in a relationship with the musician - whose real name is Annie Clark - for 18 months before their split last summer, and although the pair have parted ways, it seems a piece of their relationship will live on in St Vincent's upcoming sixth studio venture. During an interview with The New Yorker, the 34-year-old singer revealed Cara will provide vocals on a track entitled 'Pills', which details St Vincent's use of drugs as a ''coping mechanism''. It's been 20 years since French filmmaker Luc Besson shook up the sci-fi genre with his inventive adventure The Fifth Element, and now he's back at at again with this adaptation of the popular comics by Pierre Cristin and Jean-Claude Mezieres. 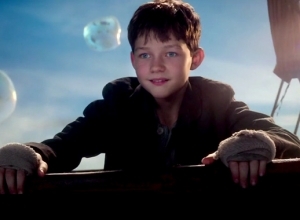 The film is a blast of visual animation, with a wildly over-complicated story involving time and space. It's all rather messy, but there's plenty of comedy and adventure to hold the interest, plus some offbeat romance and a hint of present-day politics. It's set in the 28th century, when the human-created mega-city Alpha has travelled across the universe and is now home to beings from a thousand worlds. 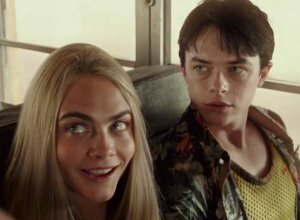 Valerian (Dane DeHaan) is a security officer working with his bickering partner Laureline (Cara Delevingne) to retrieve illegal contraband. After a mission on a desert planet with parallel dimension issues, they return to Alpha with haunting information about a lost civilisation, which seems to be at the centre of a secret war Alpha's Commander (Clive Owen) is waging. 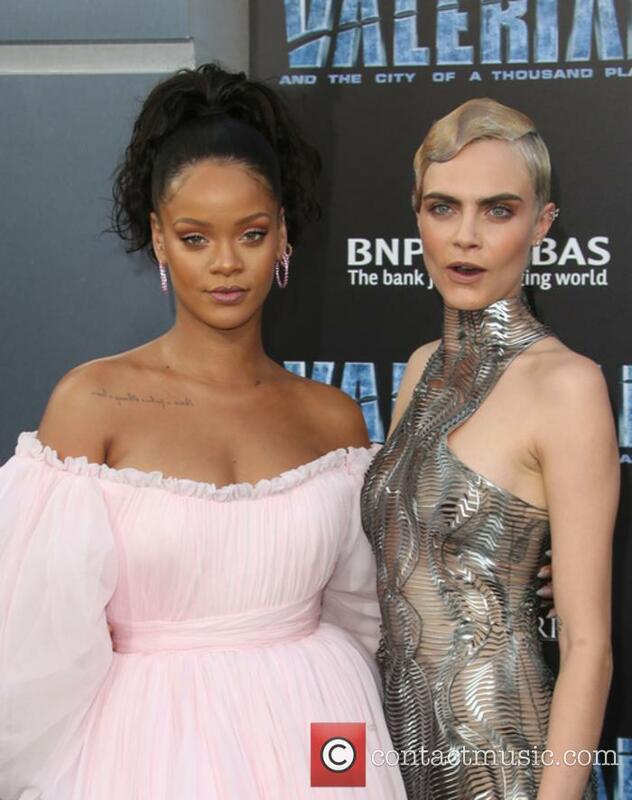 Amid a complex power struggle, Valerian and Laureline head into a no-go sector of Alpha to find out what's going on, getting help from a chatty pimp (Ethan Hawke), a submarine pirate (Alain Chabat) and a shape-shifting pole-dancer (Rihanna). Besson fills the nearly two and a half hour running time with outlandishly colourful effects, lively action and lots of verbal banter, but not so much character development. Only Valerian and Laureline emerge as fully formed people, even as they conform rather oddly to gender expectations that are old fashioned today, let alone 700 years in the future. So their tetchy romance is enjoyable but rather aimless. Meanwhile, Rihanna has some strong moments once she stops dancing and changing costumes like she's in a music video. And Sam Spruell and Kris Wu make a solid double act as Alpha officials trying to work out what's going on. 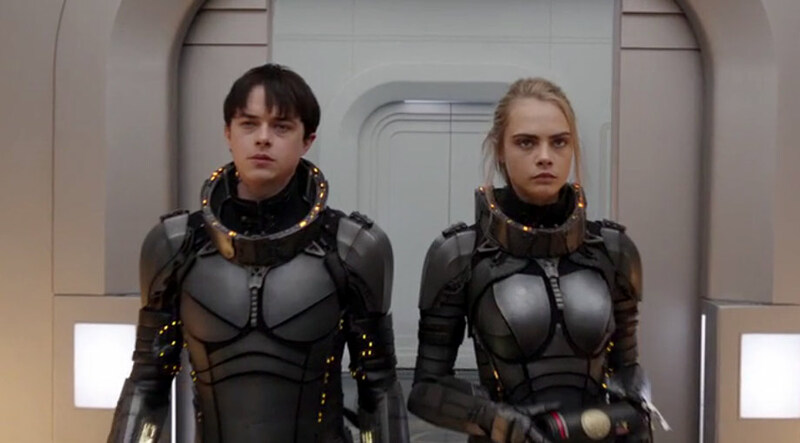 The multi-talented star teams up with Pharrell for the 'Valerian' soundtrack. 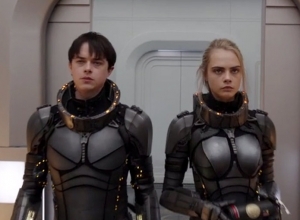 Cara Delevingne has just unveiled her very first music video for the song 'I Feel Everything', released for the soundtrack to her new movie 'Valerian and the City of a Thousand Planets' - and it's really not half bad! Is there anything this model-actress can't do? With a voice kind of like a less polished Sophie Ellis-Bextor, Cara Delevingne promotes the new Luc Besson movie with a colourful video for 'I Feel Everything' in which she dons a suit and tries on a variety of wigs. This could be just the start of a promising musical career. The actress says she's "pretty sure" June Moone won't make an appearance in the sequel. 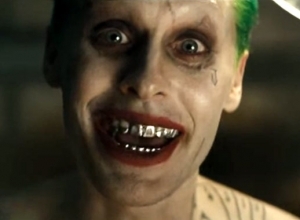 Released last year and mauled by the critics, 'Suicide Squad' was seen as somewhat of a failure, despite taking in hundreds of millions of dollars in the box office around the world. Because of the financial success, the film will be getting a sequel at some point, but details surrounding the flick are scarce. 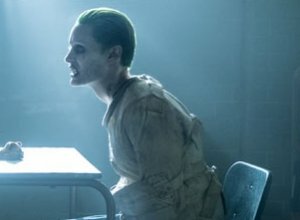 In the first film, fans got the chance to see their favourite supervillains from the world of DC Comics up on the big screen, as they came together to conduct covert government operations for Amanda Waller (Viola Davis), cutting time off their prison sentences in the process. The problem with the missions however were that they were likely to get at least one member of the squad killed in the process. For anybody who refused or who tried to escape, Waller would kill them without hesitation. Rest in peace, Slipknot. People still find it hard to believe she likes both men and women. At the moment, we live in world where the lines between genders and sexualities are blurred, and one person who particularly loves this liberal way of thinking is Cara Delevingne. Despite being openly bisexual, however, she still struggles to explain her attraction to men and women to her friends. It seems that the 'Valerian and the City of a Thousand Planets' star is describing her sexuality as 'fluid', having dated both men and women including American musician Annie Clark (also known as St. Vincent). If only everyone could grasp that concept; to some, you are either 'straight' or 'gay'. 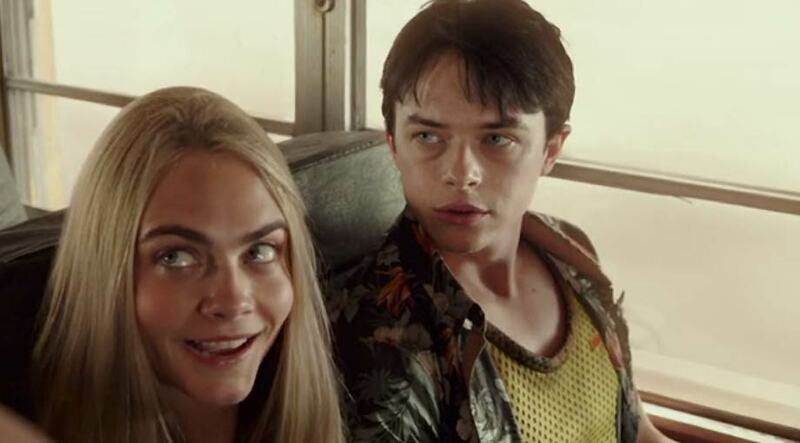 Valerian (Dane DeHaan) and Laureline (Cara Delevingne) are partners. Skilled government agents whose job it is to protect the human race and uphold the law on an intergalactic basis, they defy orders to seperate when they are sent by their commander Arün Filitt (Clive Owen) to visit a utopian city named Alpha. Housing 17 million residents of every alien species in the known universe, it's a sprawling metropolis where creatures of all races share their varied knowledge and their skills and help each other in creating the most technologically advanced and peaceful place in existence. However, the fact that Valerian and Laureline are on their way there means that something evil is afoot; somebody wants to destroy the cross-cultural harmony and threaten the safety of all races not just in Alpha, but in every corner of the universe. 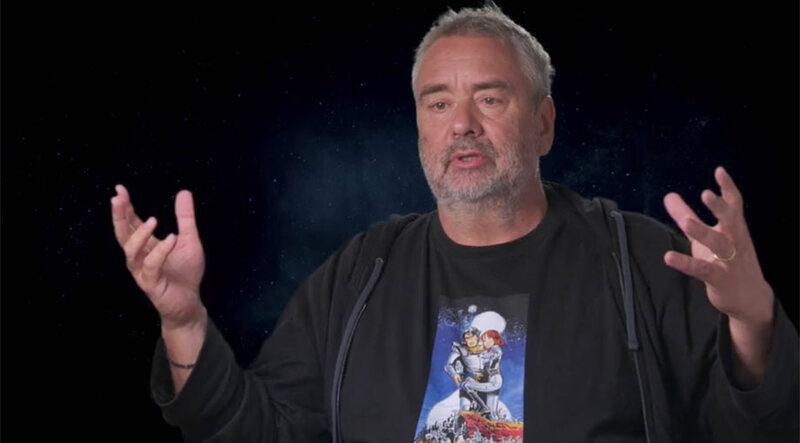 For Luc Besson's latest foray into the sci-fi stratosphere, he has decided to bring the popular graphic novel 'Valérian and Laureline' to life in a screen adaptation; Dane DeHaan and Cara Delevingne have been cast in the lead roles of Valerian and Laureline respectively. A remix of The Beatles' much loved track 'Because' from their 1969 classic album 'Abbey Road' can be heard sound tracking the trailer. Set thousands of years in the future, Valérian and Laureline journey far and wide around the universe at the behest of the government in charge of the human territories. Their mission is to keep the peace and make sure order is continually maintained. Valérian can't help but be enamoured by Laureline obvious beauty and strong mentality but she is hesitant toward his advances and tries to keep their relationship as professional as can be. 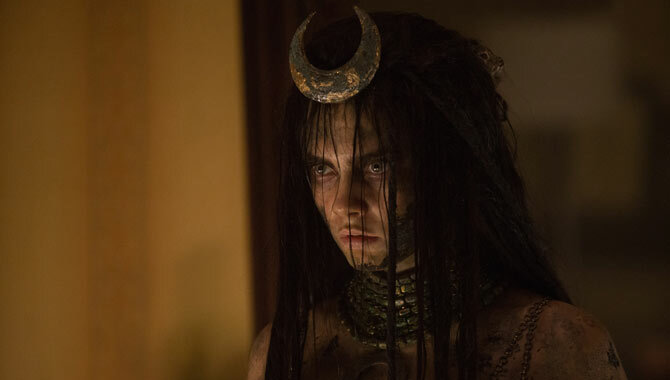 Cara Delevingne Reveals Suicidal Thoughts As A Teenager - "I Wanted The World To Swallow Me Up"